In one way or another, money has an impact on a lot of decisions couples make together. Think about it. We often ask these questions: How much is it going to cost? Can we afford it? How much should we give? Will we go into debt? How can we get out of debt? Is it on sale? Will I get a pay raise or bonus? Should we eat at home or can we afford to go out? Will we shop at the mall or second hand stores? How much will we spend on our child’s birthday? 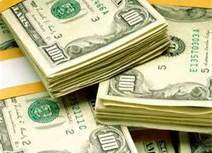 I would also say that money attributes to a lot of fights that couples have and in some cases even divorce. But, money is not bad in itself. It is the love of money that is the root of all evil, not money. However, wouldn’t it be great if we could live without the hassle of dealing with it? Unfortunately, we can’t. Since we have to deal with money, it is wise to know what type of money personalities each of us have. Money personality? Yes, you have one. We all do. I recently read a book called The Five Money Personalities by Scott & Bethany Palmer. This money couple has dedicated their lives to helping other strengthen their relationships. With 43 years of combined financial planning experience, they launched “The Money Couple” and are regulars on national TV and radio and speak internationally about love and money. 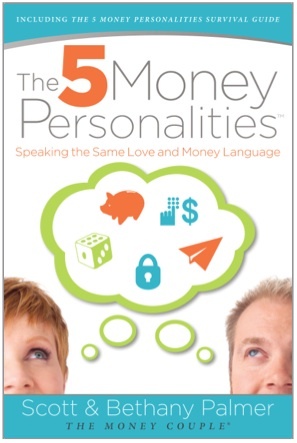 The Five Money Personalities is an interesting book that explains the money personalities that each of us have. You and I are Spenders, Savers, Security Seekers, Risk Takers, or Flyers. More than likely, we are a combination of personalities. This book is not about money management or how to get out of debt. It’s all about relationships. I like that the focus is on the heart of the matter. It had practical advice on talking with your spouse about money and overcoming many money issue snares. Interested in learning your money personality? Take this short online quiz here. If you want to read the book, leave a comment below and I’ll choose one person on February 1st to receive a new copy of The Five Money Personalities. Disclaimer: I received a copy of this book to review in exchange for an honest product review. I do not receive any other form of compensation for the reviews posted on this blog. Looks like a neat book to read. Thanks for the chance to win. Hi Kimberly, please put my name in the hat to win this book. Thank you for the opportinity.